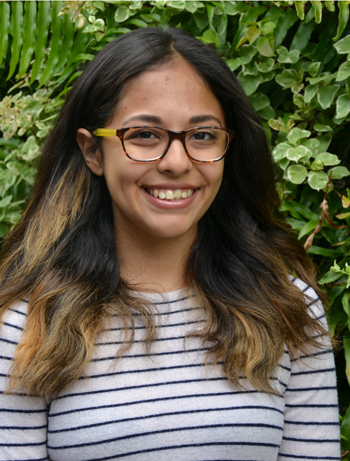 TAMPA, Fla. -- Laura Flores of the University of South Florida has been awarded a Gilman Scholarship to study abroad in Argentina during the summer 2015 semester. She will be attending USF's Argentina Human Rights Program through which she will further develop her interests in international human rights with a focus on Latin American countries.While in Argentina, she will be visiting human rights organizations and centers. Flores, a junior majoring in English, recently was admitted into the USF English Honors Program. She looks forward to using her experiences abroad to lend insightful perspectives toward her thesis project on human rights narratives in Latin American countries. Upon graduation, Flores hopes to attend law school and become a human rights attorney in the United States. Gilman Scholars receive up to $5,000 to apply toward their study abroad program costs. Recipients of the scholarship have the opportunity to gain a better understanding of other cultures, countries, languages, and economies -- making them better prepared to assume leadership roles within government and the private sector. All recipients are required to carry out a follow-on project to share information about the Gilman program within their university and community. The USF Office of National Scholarships identifies, recruits, and mentors high achieving students to apply for national merit scholarships across all disciplines. The scholarships and fellowships are for creative, motivated and academically strong students who are leaders in and out of the classroom.